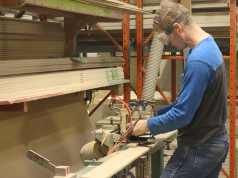 Commercial work is the primary goal for custom architectural millwork shop Western Millcraft in Edmonton, Alta. Owner Greg Clark is quite clear about that. 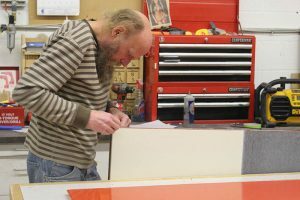 Western Millcraft owner Greg Clark wants the business to get bigger, but only by carefully managing growth. 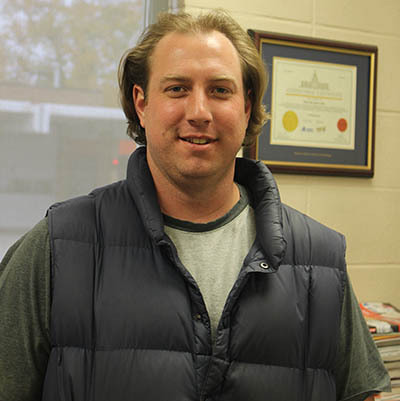 The 10-man shop has fluctuated between four and 12 since Clark bought 100 percent of the shares in the business in 2010. “I bought into some shares in 2009,” he says, noting that he has no partners or shareholders. 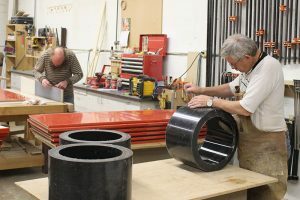 As a commercial project specialist, Western Millcraft only deals with contractors, according to Clark, with two of the staff designated as in-house installers to ensure quality from the shop is transferred to the field. Another serves as the in-house Autocad drafting expert. 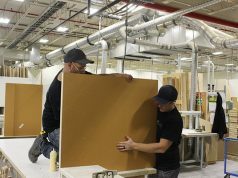 The company started in 1990 and operated as a paper company until 2004 when it transitioned to millwork. 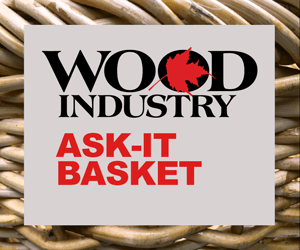 Western Millcraft also became a member the Architectural Woodwork Manufacturers Association of Canada in 2016. Before Clark acquired the Western Millcraft, “the October 2008 crash affected us all and 2009 was a very slow year. Allen Cusworth, the owner, had a stroke and I felt obligated to keep it going for a while. 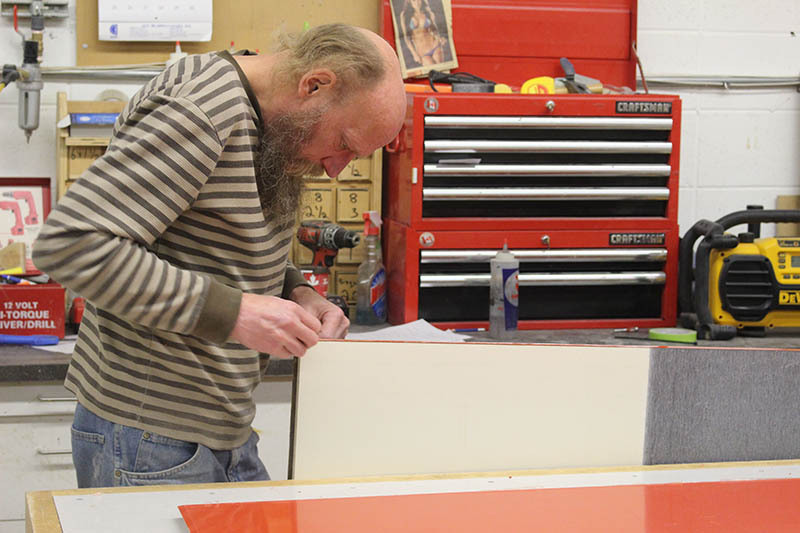 “I needed something to do and all I know is cabinetmaking. It was an easy transition. When I was an apprentice I wasn’t sure millwork shops could make any money. But Allen showed me they could. I have done OK.
“I already had contacts in the industry and my supply chain already set up. I had my machinery in place. That was a lot of the cost. All I had to do was to follow through and keep on going. I had things in place. 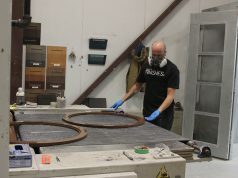 Although Clark doesn’t typically deal directly with architects, they are in some project meetings and work with his company before the contractor on occasion. “Another reason is capability. You don’t want to work with too many people and spread yourself too thin. Western Millcraft projects include for the Good Samaritan Society, the Alberta Association of Engineers and McDonald’s restaurants. Reception desks and kiosks are popular projects, says Clark. The company works with local contractors such as PCL Construction, Clark Builders and Fillmore Construction. Just how big could Western Millcraft become? Clark answers, “I have no interest going outside Alberta. Since the crash I have stayed away from the Calgary market completely. The biggest guys in town have told me they wish they had stayed small. “The bigger it gets, the hungrier it gets and you have to feed it. I don’t want to be the biggest but I want to get bigger. I have a dream of commercial real estate and owning my own building. But I have to pace myself.” Clark is happy that everything in the shop is paid for.